A few weeks ago I mentioned that I will be hosting a Twitter book club meeting for Open Road Media. Their new club will have a different host each time, and I'm excited (and nervous!) about taking a turn. 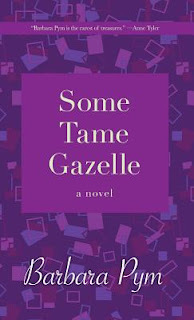 The book I picked is Barbara Pym's No Tame Gazelle, and you can read about it in my earlier post. The eBook is on sale for $1.99, and it's a quick read, so you still have time to finish it by Wednesday, September 28. We'll be tweeting at 3pm Eastern Time (New York City time). 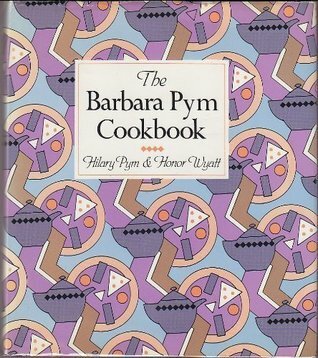 One reason I picked a Barbara Pym book is that her books are full of food references: the characters cook and bake and host parties or think about what they want for tea or Sunday dinner. 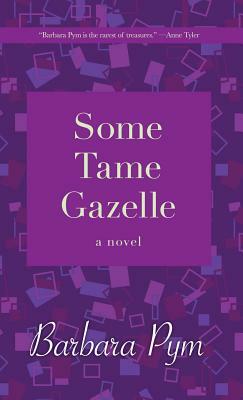 No Tame Gazelle is no exception and includes some fun and funny food scenes. 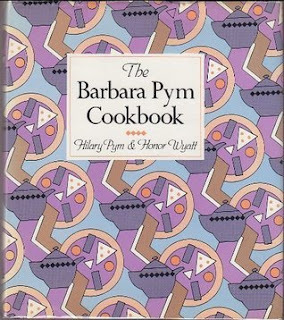 Pym was so well known for her food that her sister Hilary Pym teamed up with Honor Wyatt to write The Barbara Pym Cookbook, which highlights the meals Pym wrote about in her novels. Some Tame Gazelle is mentioned several times in this slim collection, which shows how often the Bede sisters (protagonists of the story) thought about food and cooking. Simmered chicken: which is what Belinda Bebe supposes is served to "all new curates everywhere . . . when they come to supper for the first time." Roast duck: which is annoying when it's part of the archdeacon's Sunday supper because it prompts him to preach an extra-long sermon so the duck has time cook; meanwhile, the Bebe sisters begin to worry that their roast beef, also in the oven during the service, will be overdone. Cauliflower cheese: this is kind of like a savory pudding and is the key to a disastrous luncheon. 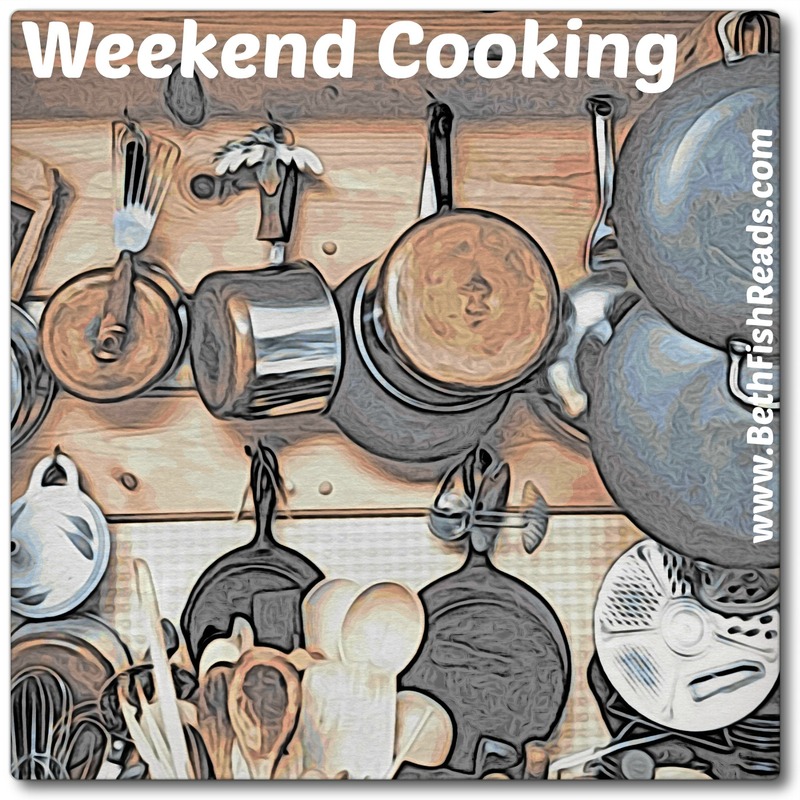 The recipe I decided to share with you is for a cake inspired by Belinda's musings about what she could bring to the archdeacon when his wife is out of town: "a cake, too, perhaps with coffee icing and filling and chopped nuts on the top." Cream together butter and sugar, then add eggs, 1 at a time, breating well after each addition. Sift together flour and baking powder, and add to butter mixture. Add coffee flavoring and combine well. Preheat oven to 325F (170C). 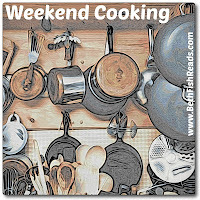 Butter a cake tin, dust with flour, pour in batter, and spread evenly. Bake 1 hour 15 minutes. When cooled completely, sandwich with butter icing and top with coffee icing. Decorate with toasted almonds. NOTE: The book didn't give icing recipes. I haven't made this, but it sounds like a pound cake. I think we're supposed to cut the cake horizontally to make the layers. My copy of the cookbook was published by Dutton in 1988. I bet I bought it the second it came out! I love Barbara Pym. Even if you don't have a mocha cake in the house, I hope you decide to join in the book club discussion on Wednesday at 3pm. I think it will be fun. And if I'm the host, you know I'm going to be talking about food! Well we don't have mocha cake in the house but I wish we did. That does sound like a annoying part about the duck dinner, him preaching too long! I will have to see if I can join in on th discussions, sounds like fun. One thing I remember from the Pym novels, which I read many years ago, is that she often describes the odd motives of her characters for doing things that maybe aren't typical of them. A long sermon to allow the duck to cook is an entertaining motive. I can see I've been missing a lot -- have never read any of Pym's books. You've certainly whetted my appetite for a look. Must check out the cookbook, too! I know that I've read at least one Pym, maybe two, and I loved them. I've bought heaps more, and they lie in wait in my house, waiting for their time in the sun. I had no idea there was a Pym cookbook- that sounds great, although coffee isn't my thing, so I'd pass on the mocha cake. I've really enjoyed the Pym novels I've read, but don't remember No Tame Gazelles and will look for that one. The discussion group sounds fun as well. What fun! I have yet to read any Barbara Pym (but I'm planning too soon) and this book sounds like a delightful companion! I've read a few cookbooks for series that I enjoy and books with recipes in the back and it's always nice to have that addition. I have not heard of her before-however I am going to go check her out. Thank you. I quite enjoy food stories. HMMM I don't think I've read any of her books. That mocha cake sounds delicious. I have not read any of her books, but it seems I need to keep an eye out. I have a special interest in books that combine a good story and food. I need to know more about this coffee icing! Actually wouldn't mind hearing more about the cauliflower cheese, too. Or just cheesy cauliflower. ;) I have a head in the fridge that needs to be cooked tonight!